It’s important to make sure that your business is protected at all hours, and our security company offers protection dogs and handlers that ensure your assets are safe. Based in Milton Keynes, Buckinghamshire, we offer fully-trained security dogs to patrol your property. It’s a cost-effective service, and one that is sure to benefit your business. Trained to pick up the presence of people in their patrol areas, our dogs quickly let our team know if there’s a threat. 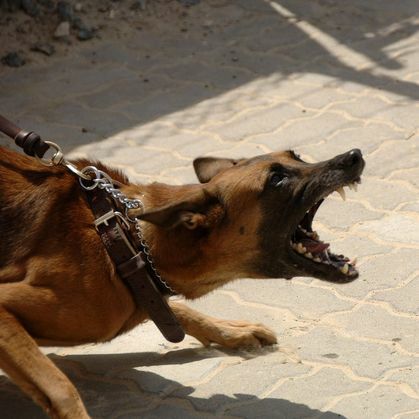 They accept other people in their environment, and react if any threat is detected or raised towards their handler. 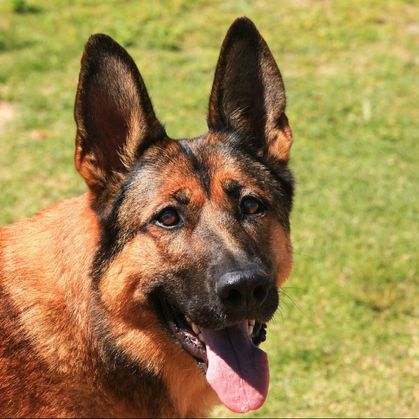 All our dogs live with their individual handler to build up loyalty and trust. This allows them to react in the right way to all kinds of situations. As members of NASDU™ (National Association of Security Dog Users), we follow a strict code of practice for the care and use of security dogs. Our handlers and dogs must pass an annual assessment by an accredited NASDU™ and BIPDT™ (British Institute of Professional Dog Trainers) trainer. Intruders have nowhere to hide from a security dog, and they certainly won’t want to fight one. As a formidable psychological deterrent for would-be intruders, our handler and dog team stand tall in the face of a threat. 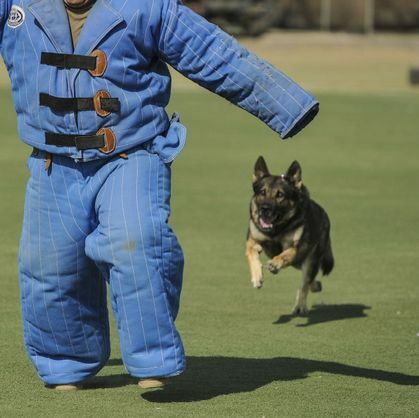 Dogs do not bluff, and they work the toughest assignments on all types of terrain. Take your security one step further with the help of our team. Key holder and CCTV services are also available. Contact us, in Milton Keynes, Buckinghamshire, for further information on the protection dogs that our security company provides.